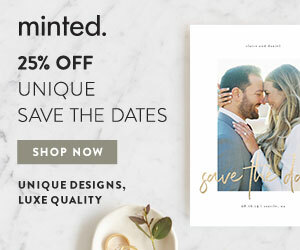 Wedding Planning boutique: Tips, ideas, real weddings, and inspiration from wedding coordinator planner Events by Elaine Roberts. Real weddings in every style - vintages, rustic, modern, organic, romantic, artisan, and classic. Nashville. Huntsville. Southeast. Social media is full of inspirations, ideas and tips. I love scrolling though all the pretty images on Instagram. So, I thought I would put together a list of some of my Nashville wedding favorites. How many of these do you follow? Elder Floral – a local florist with a beautiful, organic style. The Cordelle – This beautiful wedding venue is a favorite among both brides and vendors. Flavor Catering - Delicious food and service. Nashville Wedding Planners Group - Ideas, vendors and behind the scenes of the Nashville wedding scene. Events by Elaine - Be sure to follow me on Instagram as well. Cheekwood Weddings - See photos of the beautiful gardens in every season. Street Tuxedo – Men's formals and tuxedos for over 30 years with excellent service. Madi Flournoy – Wedding and lifestyle photographer for wild, adventure seeking couples. Mary Love Richardson - The designer behind Rosemary and Finch with a wild, organic style. The Bride Room - Couture dresses and accessories for the bride. Allenbrook Farms - An organic CSA farm with a beautiful barn and a setting. Event planner and designer in Nashville, Huntsville, and the Southeast. A fresh approach to wedding planning...relaxed, fun, creative...for the bride who is laid back and true to her personality. Serving Nashville, Huntsville and the Southeast. Disclaimer: The links in this post may contain affiliate links and I will receive a small commission if you make a purchase after clicking on my link. However, it will not cost you anything extra. Visit Events by Elaine's profile on Pinterest.